These figures will be packed in a special edition black color packaging/box. Hasbrotoyshop.com has stated that these are originally released for Asia market exclusive and will only be available through their online shop in the USA. 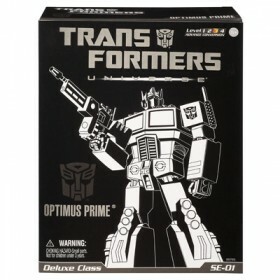 Its a must-have collectible for G1 Transformers fans! Available now from Toywiz Malaysia for RM59 each. •SE-01 Optimus Prime, is this transformable?